In this workshop you will learn the skills you need to paint a good, eye-catching landscape watercolor painting. You will learn the foundational skills of seeing and painting values, composition and design, color, and pulling it all together. We will have a lot of fun and you will have a new group of friends after this two-day workshop! 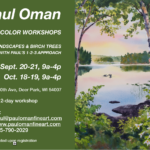 Paul is a teacher at heart and will work with each participant to help you develop your own “artistic voice” through your paintbrush. 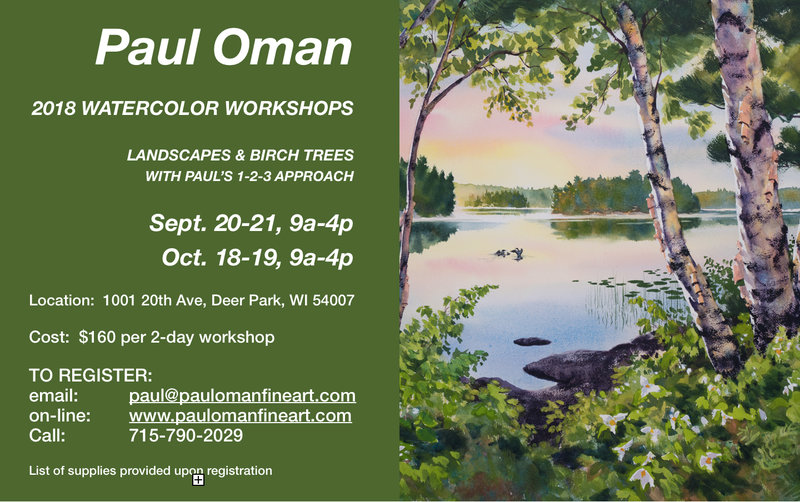 There will be individual time for constructive critique with Paul during the workshop. All ability levels welcome. Materials list provided upon registration.